J.C. Penney said Wednesday that November sales were encouraging and popular house brands were lifting gross profit margin, suggesting the struggling department store operator is turning a corner. The retailer also stuck to its forecast for more than $2 billion in liquidity at fiscal year-end, soothing persistent investor fears about its financial health following a 25 percent drop in sales in 2012. "The turnaround at J.C. Penney is beginning to take hold," Chief Executive Officer Myron Ullman said on a call with analysts. But Ullman also acknowledged Penney still has "a long way to go" and needs to win back more shoppers. Customer visits remain below last year's levels, and the company is still clearing out a lot of unpopular merchandise at deep discounts. While gross margin is improving, it was sharply lower in the fiscal third quarter, which ended Nov. 2, and the company posted a deeper loss for the period. But investors appeared to focus on Penney's turnaround comments. 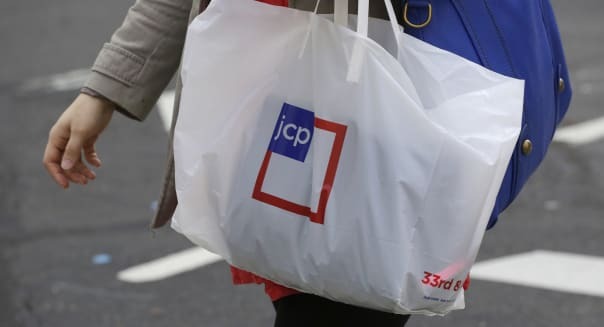 Penney (JCP) shares were up 7 percent to $9.32 in afternoon trading. A month ago they were plumbing 32-year lows near $6. Ullman, who returned to the helm in April, has made strides to recover sales lost after his predecessor, Ron Johnson, %VIRTUAL-article-sponsoredlinks%alienated long-time customers last year by jettisoning discounts and popular house brands such as St. John's Bay and Stafford clothing and JCP Home, and introducing trendier brands that proved unpopular. Penney slashed prices during the third quarter and held many sales with "doorbuster" deals, a strategy that proved wise as nervous, price-conscious shoppers continue to gravitate toward bargains. Penney will continue that strategy during the holiday season. "The environment, as you know, is very aggressively promotional, and we must and will compete to win," Ullman said. Penney has also given more space in its stores to popular merchandise such as luggage and window treatments. As previously reported, Penney posted its first monthly comparable sales gain in nearly two years last month, and it said it expects business to continue improving in the fourth quarter, which includes the holiday period. "It shows they have right momentum now, but ultimately we're looking at the fourth quarter," said Walter Loeb, retail analyst with Loeb Associates. Penney reported a wider net loss for the third quarter as heavy promotions aimed at winning back shoppers with bargains hurt margins. The deals to clear out merchandise ordered by Johnson were particularly damaging. "The discounting of merchandise is not the problem -- the old inventory is still the problem," said Rick Snyder, senior retail analyst at Maxim Group. Gross margin, a measure of profitability of merchandise, fell 3 percentage points to 29.5 percent of sales in the quarter, though Penney said it improved steadily during the period. Margin was well below those at rivals -- 39.9 percent at Macy's Inc.'s (M) and 37.5 percent at Kohl's Corp. (KSS). But Ullman told analysts that more plentiful inventory of Penney's house brands, including more sizes and styles, would help, noting such merchandise has a gross margin as much as 5 percentage points higher than other goods. He also said Penney was making progress clearing out merchandise ordered by Johnson. For the fiscal third quarter, Penney reported a net loss of $489 million, or $1.94 a share, compared with a net loss of $123 million, or 56 cents a share, a year earlier. Excluding items such as restructuring expenses, Penney lost $1.81 a share, while analysts were expecting a loss of $1.77 a share. Total sales fell 5.1 percent to $2.78 billion. Penney, which earlier this year lined up a $2.25 billion financing package and in September sold nearly $800 million in new shares to further shore up its finances, said it had voluntarily paid down $200 million on its revolving credit facility during the third quarter. The company's debt at the end of the quarter totaled $5.61 billion.